I just got an email from Roxie Munro, a wonderful artist, writer, and a lovely lady. This is what she told me. 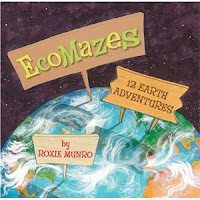 I'm thrilled to announce that "EcoMazes: 12 Earth Adventures" has received a Starred review in School Library Journal (June 2010), which says "... This is truly a complete package: it’s engrossing and interactive, featuring finely and accurately detailed art and covering the basics of an organizational concept that is central to our understanding of the natural world." What wonderful news! Getting a Starred review in SLJ is a big accomplishment in the book world. Here is my review of Ecomazes. All over our wonderful planet, there are ecosystems. They can be large, like a tropical rainforest, or very small, like the mini pond the lies at the bottom of your yard inside a forgotten bucket. All of these ecosystems are full of creatures of all kinds, fascinating creatures that interact in all kinds of ways. This unique book looks at twelve ecosystems that are found on Earth. For each ecosystem, Roxie Munro has created a beautiful maze that readers have to negotiate. As they ‘travel’ through each ecosystem, they are encouraged to find animals that are hidden in the illustrations. The book begins with a tropical rainforest. Readers are told that they are “a biologist checking on the monkeys” and that they have to find their way from the pier to the beach. As they trek through the forest, readers are invited to find an interesting selection of animals that are found in rainforests around the world. In addition to the rainforest, Roxie Munro has created maze pictures of a desert, a coral reef, a high mountain, the arctic, a wetland, the tundra, a grassland, the Antarctic, the savanna, a conifer forest, and a temperate forest. At the back of the book, there are pages that show readers where all the hidden animals are in the mazes. In addition, the author has also provide young naturalists with more information about each of the ecosystems that are featured in the book. With extraordinary pictures and a wonderfully informative and interesting text, this is a book that should be on every library and classroom shelf. I have to confess that I didn't know much about Rachel Carson until I moved to the United States in 1992. Since then I have read and been inspired by her books. Here is a review of a book that I read this week. When Rachel was a little girl, she lived in Springdale, Pennsylvania, “a town once as lovely as its name.” She had a deep love of books, and through them she developed a interest in the sea. Though writing was what she loved, Rachel studied biology in college. She finally got to see the sea in person and she fell in love with its moods and its stories. Later Rachel wrote about the sea in her first book, Under the Sea-Wind. All this time Rachel’s once lovely hometown in Pennsylvania, was being poisoned. The rivers were filthy, “the air was choked with smoke,” and poisonous agricultural sprays were killing animals of all kinds. Hearing about this terrible development, Rachel decided to write a new book. This new book, Silent Spring, angered a lot of people, but it also helped many others to see that it is important to protect the environment, and that we all have to do our part to safeguard our planet. In this truly beautiful picture book, a lyrical and powerful text is perfectly married to Thomas Locker’s gorgeous paintings. Readers will get a memorable picture of what Rachel Carson was like and how important her legacy has been for all of us. Judy Moody Goes to Hollywood! Roar! It’s not bad enough that Mom and Dad are heading to California, leaving Judy and Stink with Aunt Awful (er, Opal), but now Judy’s two best friends are going splitsville on her too. Just when it looks like her summer is going to be Bor-ing with a capital B—eureka!—Judy (with some help from Aunt Opal) comes up with the most thrill-a-delic plan ever. Get ready for a race involving tightrope walking, monster-wave-surfing, Scream Monster riding (no hands), an Evil Creature Double Feature, and way more! Add in a treasure hunt for Judy’s teacher, a midnight stakeout, a runaway ice-cream truck, a chase scene with a dash of Bigfoot, and what have you got? The Judy Moodiest summer ever! In this full-color hardback you get to sneak onto the set of the Judy Moody movie with Judy and her friends! Judy, Frank Pearl, Stink, Rocky, Mr. Todd, Amy Namey, Jessica Finch, even Mouse, and a few new characters each take a moment to talk about the stuff they think is especially THRILLING about being on a movie set! Who’s inside scoop is the most thrilling of all? You can decide by awarding each character points. At the end of the book, count ‘em up. Zero points? Snoresville! Mega-points? THRILL-o-rama! With More Titles to Come! 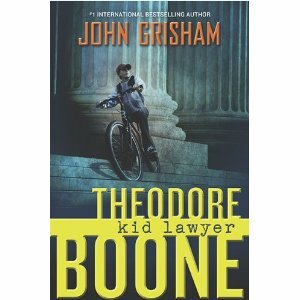 Today John Grisham's new book for children Theodore Boone: Kid Lawyer , is on sale. Here is a synopsis of the book. 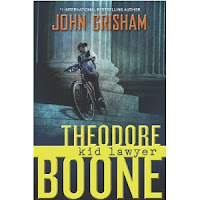 In Theodore Boone, we follow the adventures of a 13-year-old, amateur attorney who unwittingly becomes involved in a high-profile murder trial. The book takes place in the small city of Strattenburg. There are many lawyers in town, and though he’s only thirteen years old, Theo Boone thinks he’s one of them. Theo knows every judge, policeman, court clerk—and a lot about the law. He dreams of being a great trial lawyer, of a life in the courtroom. But Theo finds himself in court much sooner than expected. Because he knows so much—maybe too much—he is suddenly dragged into the middle of a sensational murder trial. A cold-blooded killer is about to go free, and only Theo knows the truth. Penguin books has two websites dedicated to Theo. www.theodoreboone.com is a full website where kids can explore Theo’s office and the clues he’s gathered for his latest case, and a courtroom where they can learn about what goes on during a trial, funny laws, and send a Mad Libs-type “summons” to their friends! www.whoistheoboone.com is a little bit more mysterious, but no less fun to explore. A few weeks ago I reviewed a splendid book called Picture the Dead by Adele Griffin and Lisa Brown. I also interviewed the book's creators just as they were about the launch the book. As I read about what Lisa and Adele were doing, I became interested in finding out what it was like to get a book off the ground once it was accepted by a publisher. I asked Adele if she would like to tell us a little bit about this journey, which she did. Here is her letter. We are launched! A whirlwind month to cap a fascinating year, when Picture the Dead first landed at our editor’s door—not with a thunk, mind you, but a polite and hesitant tap. As longtime collaborators on the project, we were both braced for rejection but hopeful that someone might find our Civil War ghost story worthy of an audience bigger than just us two. It’s a quirky read, for sure—a story about photography that is not illustrated with photographs. A serious young adult novel with pictures of a scrapbook that holds clues to its mystery. Historical fiction where much of the “historical” is tucked into our website. 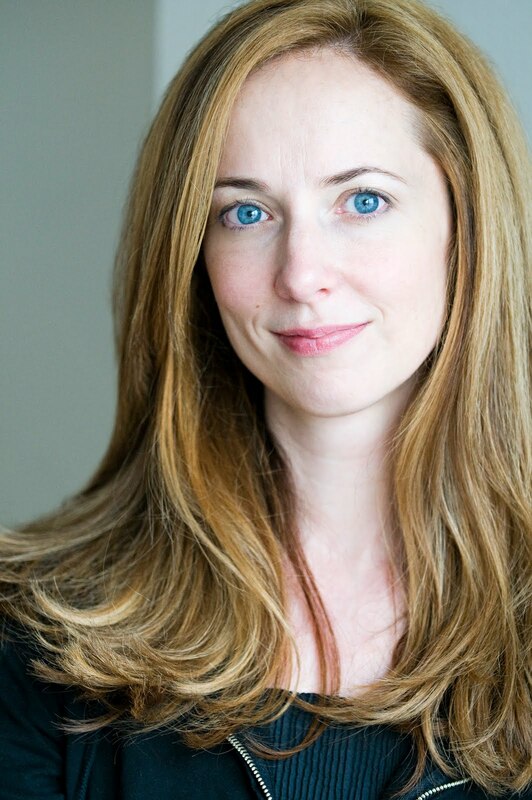 Kelly Barrales-Saylor, the marvelous editor who answered our tap, jumped into our off-kilter world with both feet. She had no qualms—though plenty of queries. And so we spent much of last year tugging logic, plot and sentences into shape; placing and replacing the art; vetting for historical accuracy, and spinning out at least fifty titles (The Recognized, Find Me When I’m Gone, The Ghost of William Pritchett) before we arrived at the one that is stamped on the jacket. But that was so last year. This year, we’re devoted to getting the book into your hands. The Booksmith in San Francisco, where we just launched Picture the Dead, is not only the kind of bookstore you cross your fingers you’d get to grow up near, but has the added benefit of being Lisa’s local Indy. With our May 6, 2010, date set, and enterprising folk at the literary media site Red Room live-streaming the event, we were ready for our close-up. In full Victoriana, that is. Corsets, funny hats, and mustaches had been hunted down. Lisa’s husband, Daniel Handler, lent the wit and charm of his alter-ego Lemony Snicket, who acted (in absentia) as Master of Ceremonies. Booksellers were duly outfitted in Union uniform. We read from the book, presented slides, raffled T-shirts, tintypes, and lockets, signed books—and pinched each other in disbelief. After all, it had been almost seven years since that first afternoon when we conceived our gothic ghostly tale. We gave readings in Brookline, Massachusetts, our book’s historical home, last weekend, and with Philadelphia upcoming, plus BEA and ALA around the corners, we’re putting out the word out bit by bit. The wonderful world of online marketing has been remarkable, too—and with a book like Picture the Dead, we are never short a “tag.” Which, depending on the interview or guest blog, has included: spirit photography, fraud photography, Civil War, twins, ghosts, hair art, festering head wounds, malarial swamps, Boston, Brookline, William Mumler, Mary Todd Linclon, séances, neck clamps, Godey’s Ladies Book—well, you get the Picture. And, yes, through the whirlwind, we do have an open folder called: New Book. With plenty of possibilities, as we muse on another odyssey, and another “will this or won’t this work?” format. We have no idea what course we might take, but an element of risk seems certain. And then, look out … we’ll be tapping. Thank you Adele and Lisa, and I look forward to hearing about what you do next. Poetry Friday - A review of Where is spring? A few weeks ago I was getting ready to get the warm weather clothes out. It is a good thing I didn't because today, in Ashland, it is wet, cold, and I am tempted to light a fire in the fireplace. Somehow it seems to be appropriate that my review for Poetry Friday should be this book. A little boy is standing in a big green field and he is looking for Spring. He decides to send his kite up into the air so that it can "ask around.”A seagull thinks that "Spring is traveling by sea in a boat." A swallow sees thing differently. He thinks that "Spring is resting in the sky.”A sparrow, a bird of the field and countryside, is sure that "Spring is strolling in the fields by the riverbank." Then the boy hears the words of the sun and he comes to understand that spring is all about him in the fields of flowers, in the schools, in the factories, on every street and down every alley. Why, spring is even inside the little boy's own home. In this very special book, children will discover the beauty of Yang-Huan's poetry. Yang-Huan wrote only twenty poems in his short life, and this one is a true gem with its simplicity and image filled words. Gorgeous artwork captures the essence of the text; it reflects the rise and fall of the kite's passage and the journey that the little boy makes as he discovers where spring is. In 2006, the United States Senate established the third Friday of May Endangered Species Day, in an effort to spread awareness of our endangered plants and animals. May 21, 2010 will mark the 5th Annual Endangered Species Day. The recent U.S. Senate resolution proclaiming May 21 as Endangered Species Day 2010, states that over 1,000 species in the U.S. and around the world are at risk of extinction. The goal of this day is to educate and create public awareness of this staggering number. The resolution calls for educators to spend at least 30 minutes on this day discussing endangered plants and animals. After all, how does a person help fix a problem when the problem is unknown? To help educators incorporate endangered species into their lesson plans, Sylvan Dell Publishing, will offer their endangered species eBooks for free in participation of this important day. Introduce children to Felina the Florida panther, Carolina the loggerhead turtle, LiLing and Tengfei the two giant pandas and a host of other threatened and endangered species with the Sylvan Dell endangered species titles. To access the eBooks, visit the Sylvan Dell Web site or see directions below. Use these books to help educate children about the importance of our endangered species! Yesterday I read about a competition called Letters About Literature. For the competition young readers had "to write a personal letter of reflection to an author whose work somehow inspired them or changed their view of the world or themselves." I only wish I had had the opportunity to write such a letter when I was in school! This year 69,000 young readers from all over the U.S participated in the writing contest, which is a reading promotion program of the Center for the Book in the Library of Congress, presented in partnership with Target. The winners of the 2009-2010 competition wrote to (among others) Francisco Jimenez, who wrote "The Circuit," Laura Ingalls Wilder who wrote the Little House books, J.D.Salinger who wrote "The Catcher in the Rye," and Dr. Seuss, who wrote numerous books for readers of all ages. Here is one of the winning letters, which was written by Reagan Nelson, a 6th grade student in Spokane Washington. Change is something many people are afraid of, but I know it can be wonderful. It is something I have never looked at in the same way since reading your book Little House on the Prairie and meeting Laura. My house burned down when I was seven, and I almost died in the fire. Since that night my dad rescued me from my burning bedroom, things were never the same. People have always described the fire as a great tragedy that hit our family, but I have never viewed it that way. Like Laura on the prairie, this was a time when I was faced with big changes. My family had no home to live in and not even our clothes to wear. But Laura taught me that life’s challenges can be viewed as a great adventure, something to be thankful for even, and this is a view I have chosen to adopt in my own life. Laura’s life is full of challenges. Laura’s family is faced with the move to land that they work hard to settle on, but later learn they have to vacate after all of their hardship and effort. They are overcome by sickness. They even lose their dog, Jack. Laura never lets these events get the better of her. She feels the sadness and the disappointment but she becomes stronger because of them. Just last year, my Dad and I were hit by a truck while driving in our car to the garden store. Our car was wrecked, but we were not hurt badly. When we had to walk and take the bus everywhere in the snow for four months because we did not have a car, I thought of all the things that happened to the Ingalls family, all of the times they had to move because something was not working. This gave me a tremendous amount of strength and hope. Things always got better for the Ingalls, and through it all they had each other just like I have my Mom and Dad. What Laura taught me most is that I can either be frightened or mad at life, or I can choose to view change as an opportunity to learn some valuable lessons. One of the most important lessons I learned from Laura and the Ingalls is that the challenges I face have to be greeted with gratitude. After the car accident when we had to walk everywhere, I started to think how thankful I was that I could walk. I realized that the car accident could have taken that away from me. I also realized that everyday, when I walked with my Dad, we spent time together and shared stories that I will always remember. The fire took our house and all of my clothes and toys away, but I still had my family and my pets, which is everything in the world that mattered to me. Just like in Little House, when Mr. Edwards brought Laura and Mary Christmas presents through the snow from far away, people were so kind and gave us all sorts of things. And folks at my school were so generous and caring. I never knew complete strangers could care like that. This was a gift. It doesn’t really matter whether you like change or not, whether you embrace it or run the other way. It is sometimes wonderful, sometimes disappointing and often frightening, but it is always happening. Little House showed me that life is nothing but transition, and change is inevitable. The Ingalls knew this, and your book showed me I can rely as they did, on family, faith and community to get me through. I have learned that wherever the greatest challenge exists in my life is where the greatest growth is too. Little House on the Prairie taught me that it isn’t the tough times that define us, but rather our response to the challenges we face which makes us who we are. And that is the real gift for which I thank you. First off, I would like to say that I have not been traumatized by any specific event, nor am I struggling with self-identification, suffering from a rare disease, dealing with the loss of a close family member, managing dysfunctional family issues, or stressed about fitting in with the stereotypical teenage crowd that roams the halls of every high school in America. I have not yet needed the help of your books to get through an especially rough patch in my life, mostly because I haven’t had any especially rough patches yet. I do, however, pay close attention to current issues and I am very aware of the problems that have created conflict among and within social groups throughout the world. In turn, I also spend a lot of time babysitting young children who have just boarded the Reading Railroad, allowing me to revisit the same books I enjoyed at their age. Having become accustomed to books that lack pictures and require an analytical search for a deeper meaning hidden by the author, it is refreshing to step back into the shoes of my six-year-old self. I thoroughly enjoy returning to the worlds of the Sneetches, the Whos, and Cats in the Hats that made their way into my imagination with their tongue twisting dialogue and fascinating adventures. I have often wondered, since reading such stories, if our world is, in fact, a tiny speck on a clover just waiting to be protected by a fun-loving elephant named Horton. I have waited on a rainy day for a cat in a striped red-and-white hat to waltz into my living room and sweep me off my feet, searched for a Wocket in my pocket, and tried with all my might to read with my eyes shut. It was not until I reentered the colorful universes created between the covers of your books that taught me how to sound out my vowels and string together consonants that I realized these stories were more than just fun. To be completely honest, I was shocked to discover that the stories I loved dealt with such real world issues as racism and social status. I had always thought of the thin books on the shelf as silly stories meant to teach kids the basics of the English language and instill such morals as sharing, saying please and thank you, and always being nice to others. Upon further inspection, it became evident to me that such stories were not only meant as a lesson for the children learning to mind their p’s and q’s, but also a wake up call for the observant adults in charge of insuring their children’s education. The star-bellied sneetches were no different than the plain-bellied sneetches, despite the advice of Sylvester McMonkey McBean. The sneetches got so mixed up in their star-swapping that they could no longer remember who was supposed to better than the other. The Whos, who were so small they would barely be heard, were forced to join together just to fight for their cause—and the smallest Who, of course, made the biggest difference of all. It was the smallest who had the loudest voice, allowing their speck to be heard by Horton’s doubters and saved from a terrible fate. I was thrilled to uncover such morals, even though they had always been there, unhidden and as obvious as the manners-based morals I had once assumed to be the only message on the page. The blatant reminders that our society is not the center of the universe, which are only subtle to the unassuming beginning reader, were inspiring to be found in such a format. Because of your stories, I was motivated to voice my opinions in essay contests, such as the Veterans of Foreign Wars: Voice of Democracy contest in which I received the second place prize. As the daughter of a police officer, it was evident to me that they were not getting the recognition they deserved as veterans of very similar situations to those faced by other military branches. I felt the contest was a prime outlet for my opinion. I have also been able to use my newfound voice in articles I have written for local newspapers. It has become apparent to me that sometimes our method for letting our voice be heard is not always practical, but is always possible. You have proven again and again that no matter what our message is, and no matter what our means of displaying our cause, it is always possible to let the world know how we feel, despite how small we think our voice may be. Upon rediscovering your stories, which have always remained close to my heart simply because of their sentimental value, I was reminded of my voice and its possible impact in the world today. Thank you. You can see more of the winning letters here on the Letters about Literature website. When my daughter was younger I often heard the words "what can I do now?" or "I'm boooooored!" Thankfully, at the grand age of almost ten, she always has more than enough things to do to keep her busy and engaged. If you have a child at home who needs something to do, then I suggest you take a look at the PBS (Public Broadcasting Company) website. Many children love the television programs that PBS creates, and now they can enjoy the same entertaining and educational material online as well. A place where children can play educational games and win prizes for free. Information about a writing contest for children who are between 6 and 8/9 years of age. Wondering what to do with your child today? Whether you’re at home, at school, or out running errands, use the Reading Activity Calendar to find fun, simple ways to make reading a part of your every day life. Flip through the calendar above for ideas, activities, and silly holidays to celebrate together. The calendar is available in Spanish and in a printable version. The PBS KIDS Island area is also full of resources for parents, caregivers, and teachers to help them to incorporate books and reading into their children's lives . There is also a section about literacy and literacy research. For the last day of the TTLG Seven Days of Picture Books, I have chosen to review a charming new title about a mystery, expectations, and friendship. Hugo is a “happy little guy” who lives in a little house on top of hill with his dog Biscuit. One morning Hugo is looking out of the window when he sees a red string snaking across the grass. Convinced that there is “something wonderful at the other end of it,” Hugo sets off to see where the string goes. Little children are sure to enjoy this amusing story, and they will certainly have a good laugh when they see what is at the end of Hugo’s mystery string. Though his find might not live up to his expectations, the ‘treasure’ that he gathers during his journey more than makes up for it. Labels: Picture book reviews, Seven Days of Picture Books Event. One of the things that I love about Ashland, Oregon, is that the young girls here seem to be comfortable with who they are. They play soccer, they take special science classes, they write books, and they make it clear to everyone that they are capable of doing anything they put their minds to. Below is a review that perfectly captures their 'girl power' spirit. You might be under the impression that all princesses wear pink dresses with matching elegant shoes, and that they spend their days doing elegant (and probably very boring) things so that their clothes stay pristine. Clearly you have not met the kinds of princesses who live a more active and modern lifestyle. These princesses play soccer wearing cleats “with shin guards and some baggy shorts.” They happily play with a dog, getting filthy in the process. Some princesses like to ride a bike wearing a helmet, and knee and elbow protectors. Should they find themselves locked in a “stony tower,” they escape using their wits and their not inconsiderable strength. Perhaps you think that none of these activities are very princess-like, but every one of these young ladies runs, works, and plays with a sparkly tiara on her head! This amusing and meaningful picture book will delight girls who, like these princesses, are not afraid to be themselves. These princesses celebrate their intelligence and their athleticism. They embrace “girl power,” which is something every girl out there should feel comfortable doing. With delightful rhymes and amusing illustrations, this is a picture book that every young girl should read. For today's picture book I chose a book that arrived in the mail only a few days ago. Readers who enjoy exploring art that is full of details and action will enjoy this title. A family is going on vacation, and just before they leave the house Aunt Roberta – who is taking care of the family pets in their absence – announces that she cannot find her glasses. She says that she needs her glasses so that she can take her shower, and without them she cannot see what she is doing! The family members do their best to find Aunt Roberta’s glasses, but in the end, they have to leave for the airport. Hopefully Aunt Roberta will not slip on the soap in the shower. 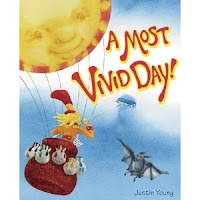 Readers of all ages are sure to enjoy this large format picture book. The illustrations are packed with often deliciously funny details, and readers will get completely caught up in the misadventures of this family. At the back of the book there is a page showing “The chain of catastrophes.” As they look at this, readers will be able to see how one catastrophe leads to another. If you think you caught everything after the first reading, think again and have another try! I have always been fascinated by insects, so when I took this book out of its box not long ago I knew that it was going be a book that I was going to like. I was pleasantly surprised to find that the book is not only about insects and bug love, but is also about books. What a perfect combination. The Gentleman Bug decides that he needs to clean up his appearance, and with the help of his students, he turns himself into a very dapper looking fellow. That evening Gentleman Bug goes to Pollen Hill, the popular nightspot, and everyone is impressed by his new look – except Lady Bug. In this delightful picture book, Julian Hector has created a whimsical bug-centric world that children are sure to like. His charmingly simple story will delight young insect lovers, and its bibliophilic ending is perfect. Adults often look back on their childhood with nostalgia, remembering care-free days and uncomplicated days. Not surprisingly we tend to forget that children have their problems too. They have to find ways to fit in, ways to get along with others, and they have to find that elusive "happy with who I am and what I am" place. The picture book I have reviewed today takes a look at how one little girl comes to terms with the fact that being "la-di-da" might not be as wonderful as she thinks it is. Then at last, Louise’s mother announces that she is going to take Louise shoe shopping. If Louise can only get some la-di-da shoes, then the kids at school will think that she is a real “big cheese!” When Louise’s mother chooses a pair of brown lace up shoes with rubber soles Louise is devastated. She is even more upset when she goes to school and sees that her friend Fern is wearing a pair of patent leather pumps with sparkles on the toes. How can this be happening? Most girls at some point wish that they could be famous, glamorous, or popular. They want to be something other than what they are, just like Louise. As they read this book, readers will come to realize that being who you are isn’t that bad, and sometimes having what you think you want isn’t as much fun as you thought it would be. 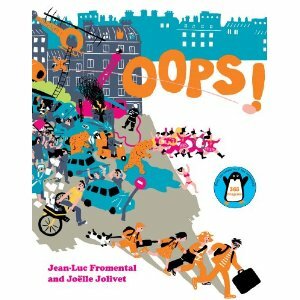 With lots of humor and wonderfully amusing illustrations throughout, this picture book addresses an important issue in a unique way. "The Children's Book Council (CBC) in association with Every Child a Reader, Inc. (the CBC Foundation), announced the winners of the third annual Children's Choice Book Awards at a gala in New York City last evening. Children across the country voted for their favorite books, author, and illustrator at bookstores, school libraries, and at www.BookWeekOnline.com, casting over 115,000 votes. 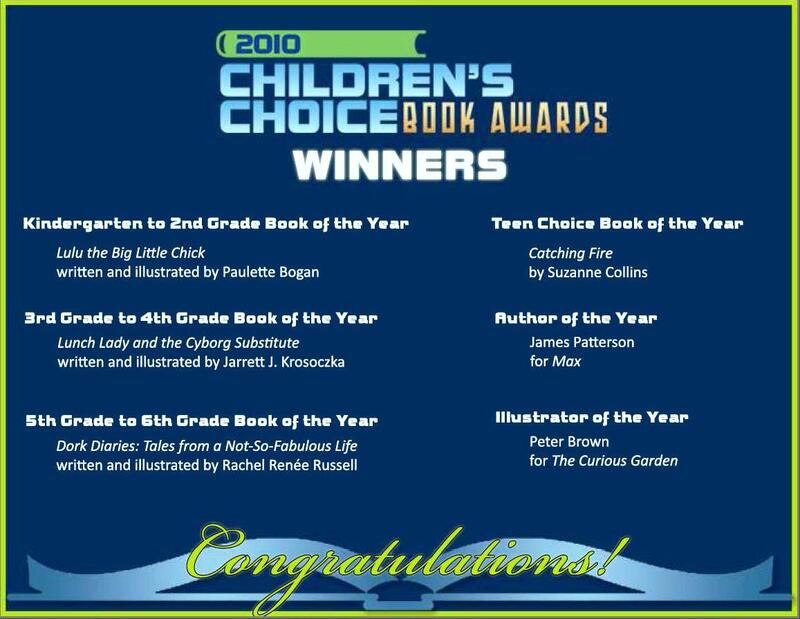 The Children's Choice Book Awards program, launched in 2008 by The Children's Book Council (CBC) in association with Every Child a Reader, Inc. (the CBC Foundation), was created to provide young readers with an opportunity to voice their opinions about the books being written for them and to help develop a reading list that will motivate children to read more and cultivate a love of reading." During Children's Book Week and Reading is Fun week, I will be reviewing a picture book every day. Here is the second picture book review for the Through the Looking Glass Nine Days of Picture Books event. I chose this book because the artwork is so delightful, and because the story has a magical element that is quite unique. One night a bat called Tommy goes with the other bats to find his daily meal. Tommy finds an apple tree, and he is just about to take a big bite out of one of the apples when a caterpillar tells him that the apple is not ripe. “You should pick a ripe apple that is a delicious red color,” says the caterpillar. The problem is that Tommy has no idea what red is. Being an animal of the night, he has never seen colors before, and he is not convinced that the caterpillar is telling the truth. Tommy decides to stay up to see what color is, and when the sun rises, he sees, for the first time, what blue, green, red, and orange looks like. Everything the sun paints with his paintbrush gets a color that delights the eye. The sun not only paints the sky, the flowers, and the grass, but he also paints all the animals, and Tommy decides that he too would like to have a color; he would like to be red! Children are sure to enjoy this story, which explores the idea that beauty truly is all around us. In addition, the author looks at the ways in which problems can be solved amicably if people will just be civil and generous towards each other. Full of gorgeous watercolor paintings that are bright and full of life, this book is sure to become a bedtime reading favorite. Labels: Children's Book Week, Reading is Fun Week, Seven Days of Picture Books Event. The next seven days days are special in the children's book world because Children's Book Week is from May 10th to May 16th and Reading is Fun Week is from May 9th through 16th. In celebration of these days, I am going to post a review of a picture book every day. I chose picture books because it gives me the opportunity to enjoy reading and reviewing some of the treasures that I have sitting on my shelves. I hope you will join me every day for this Seven Days of Picture Books event. 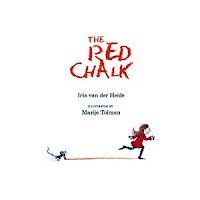 Sara has a stick of red chalk and she tries to draw on the sidewalk with it, but the sidewalk is so bumpy that “none of her pictures turned out right.” Luckily for Sara, Tim is willing to trade his marbles for her “magic” chalk. Sara tells Tim that everything that he draws with the chalk “will come to life.” Not surprisingly, Tim is more than happy to make the trade. After playing with the marbles for just a short while, Sara decides that the marbles are “no fun at all.” Down on the beach she sees Sam. Sam has a delicious looking red lollipop, and Sara soon comes up with a way to get Sam to trade her sweet treat for Sara’s marbles; Sara tells Sam that the marbles are “real pearls from the ocean,” and Sam is happy to trade her lollipop for the marbles. The problem is that Sam soon discovers that this trade isn’t going to work for her either. In this lovely picture book, the author tells a story that some children, and a few adults, will find familiar. Like Sara, many of us are always eager to have what someone else has. We don’t use our imaginations to see that we have right now has great potential. Marije Tolman compliments the text with deliciously emotive illustrations that are touched with humor, and that add a special magical dimension to the story. You can download a charming Children's Book Week bookmark here.When you open the page, right-click on the image and save it to your computer. Print the bookmark on heavy paper, then cut out around the dotted line. Then you can draw in your own favorite character and keep a list of your favorite books! Enjoy! Since 1919, Children's Book Week has been celebrated nationally in schools, libraries, bookstores, clubs, private homes -- any place where there are children and books. Educators, librarians, booksellers, and families have celebrated children's books and the love of reading with storytelling, parties, author and illustrator appearances, and other book-related events. It all began with the idea that children's books can change lives. In 1913, Franklin K. Matthiews, the librarian of the Boy Scouts of America, began touring the country to promote higher standards in children's books. He proposed creating a Children's Book Week, which would be supported by all interested groups: publishers, booksellers, and librarians. Mathiews enlisted two important allies: Frederic G. Melcher, the visionary editor of Publishers Weekly, and Anne Carroll Moore, the Superintendent of Children's Works at the New York Public Library and a major figure in the library world. With the help of Melcher and Moore, in 1916 the American Booksellers Association and the American Library Association cooperated with the Boy Scouts in sponsoring a Good Book Week. In 1944, the newly-established Children's Book Council assumed responsibility for administering Children's Book Week. 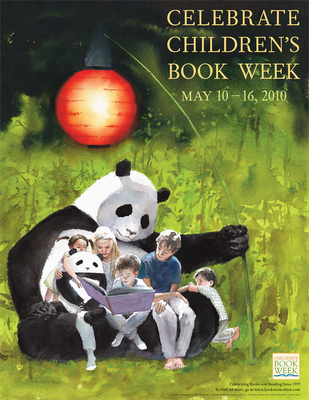 In 2008, Children’s Book Week moved from November to May. 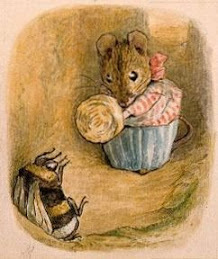 At that time, responsibility for Children’s Book Week, including planning official events and creating original materials, was transferred to Every Child a Reader, the philanthropic arm of the children’s publishing industry. 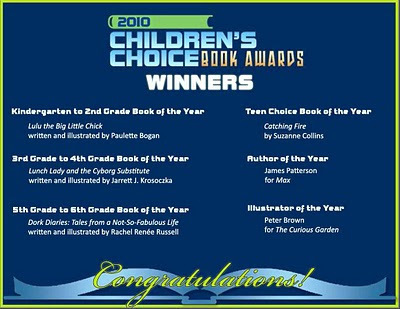 Also in 2008, the Children's Book Council created the Children's Choice Book Awards, the only national child-chosen book awards program, giving young readers a powerful voice in their own reading choices. You can find ideas for Children's Book Week on the CBW website here (for children) and here (for teens). Happy Children's Book Week. Earlier this week I had the opportunity to interview the author and illustrator of Picture the Dead . Here is the interview. 1. Your wonderful book has a singular story. Where did the inspiration, or the kernel, of the tale come from? We were first and most inspired by our heroine, Jennie Lovell, and everything that she represents for us. The two of us have been friends for a long time, and a while ago, we’d come to realize that our collaboration would grow out of our shared enjoyment of a particular kind of literary heroine—not overtly disruptive or rebellious, but more quietly dogged and persistent. And so Jennie became a beacon, for us, of what it took to see through this project, with all of its many intriguing but complicated components. Resolute and unrelenting—that’s our Jennie, and that was also our process. 2. Picture the Dead is set during the American Civil War. Did you do a lot of research to make the book as authentic as you could? We did. Our “Notes and Acknowledgements” page is definitely more than one page. We site our whole list there. What we didn’t mention there, but seems critical to how we researched Picture the Dead, was our timeline—or lack thereof. We didn’t have a contract in place, or any deadline, or any imperative for this book other than to enjoy creating it and to learn things that we wanted to learn about, and so we took liberties with time. Specifically, the time it takes to decipher a collection of 150 year old, handwritten letters, or to chase down a record book of the imprisoned at Andersonville, or to read the Godey’s Ladies’ Index or Drew Gilpin Faust’s This Republic of Suffering, which is not exactly a beach read. Time to put away the project for a few months, and return to it with fresh eyes. All in all, the book took us about seven years, during which time, of course, we were busy with other projects as well, but always aching to return to this one. We didn’t want to feel overly directed or we knew we’d lose enthusiasm. Or to lose the core value of what collaboration is, where the nostalgic joy and influence of all these books we both loved—Johnny Tremain, The Witch of Blackbird Pond, Catherine Called Birdy, The Summer of My German Soldier—was absorbed into what we could do now. And so Picture the Dead has a foot in the past, but it’s also digitally-born. And we hope that ultimately it doesn’t reflect the private, self-indulgence of our youth, but is a brisk and modern way of speaking to what we think today’s young readers might want. Our website also feeds that philosophy. 3. Did you visit some of the places mentioned in the story? Yes, we both are familiar with Boston its environs, and in fact, one of our readings will be at the Brookline Booksmith, www.brooklinebooksmith.com on May 15th. An early ARC was vetted by our Brookline friends at The High Street Hill Neighborhood Association, and they were kind enough to catch some historical anachronisms, and we are very glad for their approval and support. We haven’t yet had the chance to visit the memorial at Andersonville, where the boys were imprisoned, but Jennie’s world, and the story’s setting, is familiar to us. 4. I have visited several Civil War battlefields, and on numerous occasions, I was struck by the sadness that seems to pervade these places. Do you think more unhappy spirits might be ‘haunting’ these places, much in the same way that Will haunts his old home? It’s so true, memorial sites have a tremendous grip on the living; it is that singular, unmistakable memento mori, (“remember that you will die”). The silence itself feels haunted. Every casualty of war bears the weight of that war’s enormity. In Picture the Dead, we were tasked with making that staggering number of losses resonate in one family. Obviously, we can’t write an intimate story about a thousand soldiers from Brookline who died in the Twenty-Eighth Massachusetts Infantry. We could take all boys from one single family, however, and send them all off to war. Then kill two, and have one boy return so shattered as to be permanently damaged, both physically and emotionally. Which is a pretty realistic portrait of any given American family in 1864. We always imagined what that silence sounded like in the Pritchett house. 5. I understand that you are and Lisa worked on this book together. How did this collaboration begin, and how did you work together? We are absolute partners in the process, even down to this interview, which we both are answering as one voice, but will have been passed back and forth between us before we send to you at http://lookingglassreview.com.Picture the Dead has a long prelude, where we’d landed on an idea of an illustrated, gothic mystery and then began to assemble what was almost a scrapbook; of letters, books we loved, eerie images from the Library of Congress Prints and Photographs Archive, casts of characters, and enough plot elements to fill a twelve volume set. For a long time, it wasn’t any kind of beginning-middle-end book, but just hundreds and hundreds of impressions, back and forth emails titled “my favorite kind of ghost would” or “the strangest thing about a twin is” and then some compellingly spooky spirit photograph jpg. But the real story behind this story is that we’d met about eight years ago, through our shared agent, and from that meeting had spent a couple of years creating an entirely different project, The Book of Humiliations, which was a fictional re-invention of the Salem Witch Trials as experienced in a modern New England High School. And we’ll always see that project as a success, because we learned what a blast we could have, zipping documents and images and flash thoughts from New York to California. The fun of that project took us by surprise. So we knew we’d roll out something, it just needed to be more suitable, more cohesive, than just the two of us online on opposite coasts, or together on a couch with our overstuffed accordion files between us, cracking each other up or freaking each other out with story ideas. 6. How did you first hear about people using photographs to connect with their dead loved ones? We’d known about it in the backs of our minds, and the images were all immediately available when we put together the idea of a ghost story with the Civil War. And then there was a fascinating exhibit of Spirit Photography at the Metropolitan Museum of Art a few years back. And we’d been reading in a similar vein—one of us was reading a biography of First Lady Mary Todd Lincoln at the same time the other was reading a biography of the Victorian-era photographer Julia Margaret Cameron—and these books touch on the influence and power of spirit photography. But we would both agree that researching this book gave us a far more complete comprehension of the whole art and the hoax of spirit photography. 7. In Picture the Dead you have included several pages from Jennie’s scrapbook that show the reader letters, newspaper clippings, photographs, and other mementoes. What did you use as models for these items and where did you find them? Lisa selected every image in the book, and her background as both an graphic artist and an illustrator, combined with her interest in finding, reconfiguring, and creating art that was exactly of that moment (winter 1864 – spring 1865) is one of the quiet victories of the book—in that not many readers will be aware, or need to know, that each newspaper clipping, each dance card and fashion plate and advertisement and price of a pair of kid gloves—is accurate to within that six month time frame. The illustrated “photographs” are based on old daguerreotypes and albumen prints, and most of them are of anonymous sitters, found in the Online Prints and Photographs Reading Room of the Library of Congress. The background patterns are based on actual Victorian designs and other pieces of Jennie’s scrapbook had their origins in the New York Public Library’s online Digital Gallery and in the online image archives of the Brookline, Massachusetts Historical Society. Many thanks to both of these wonderfully gifted ladies. Storyline Online has a new book!